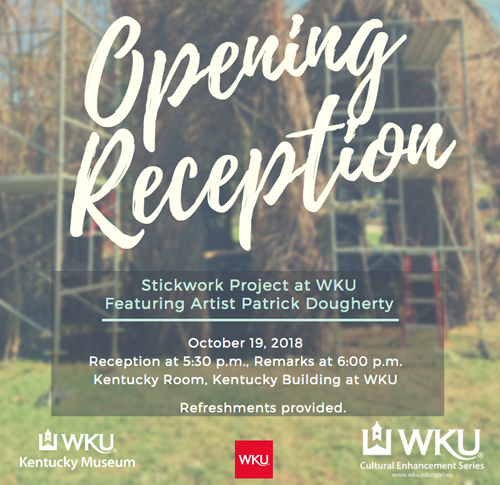 WKU’s Cultural Enhancement Series and the Kentucky Museum invite you to an opening reception for the Stickwork Project at WKU featuring artist Patrick Dougherty will be Friday, October 19 in the Kentucky Room. The reception begins at 5:30 PM with remarks at 6:00 PM. Dougherty creates large scale environmental sculptures made from intertwined tree saplings. His latest installation is located in front of the Kentucky Museum.